Although GBP was supported by the positive reports from UK economic news, the GBPUSD chart stayed bearish because of the strong USD. The pair is finding support at 1.41050 with resistance at 1.41930 which both are moving close to the weekly pivot point at 1.41610. 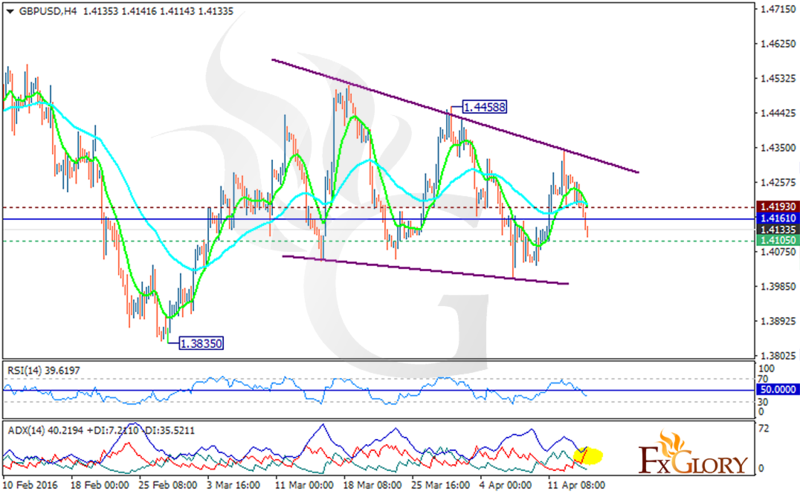 The strong resistance is observed at 1.44588 which limits the pair from further rise. The 1.4004 breakthrough will smooth the way for downside trend to the previous low at 1.38350. The EMA of 10 is crossing the EMA of 50. The RSI is below the 50 levels showing better sell opportunities and the ADX indicator is confirming the same scenario. Short positions are recommended with the target of 1.4160 and 1.4080.